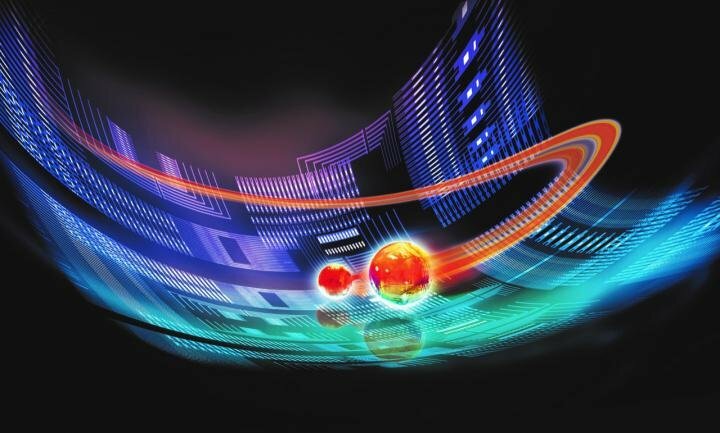 The research, led by University of Sydney physicist Dr. Cornelius Hempel, explores a promising pathway for developing effective ways to model chemical bonds and reactions using quantum computers. It is published today in the prestigious Physical Review X of the American Physical Society. Working with colleagues at the Institute for Quantum Optics and Quantum Information in Innsbruck, Austria, Dr. Hempel used just four qubits on a 20-qubit device to run algorithms to simulate the energy bonds of molecular hydrogen and lithium hydride. Dr. Hempel said: "This is an important stage of the development of this technology as it is allowing us to set benchmarks, look for errors and plan necessary improvements." Instead of aiming for the most accurate or largest simulation to date, Dr. Hempel's work focused on what can go wrong in a promising quantum-classical hybrid algorithm known as variational quantum eigensolver or VQE. Head of the University of Sydney Nano Institute's quantum science domain, Dr. Ivan Kassal, said: "This work is a remarkable implementation of one of the most promising approaches to quantum chemistry, proving its mettle on a real quantum-information processor." He said that Dr. Hempel's decision to move to the University of Sydney in 2016 was an excellent addition to the strong quantum team on campus. "Theoretical chemistry and materials science are strengths at this university and they will be augmented by these latest techniques in quantum computation," he said.